Introducing the hand illustrated typeset! 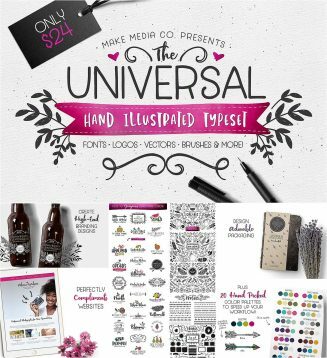 This entirely vector-based pack is LOADED with hand-drawn, and hand-lettered elements for your design arsenal. 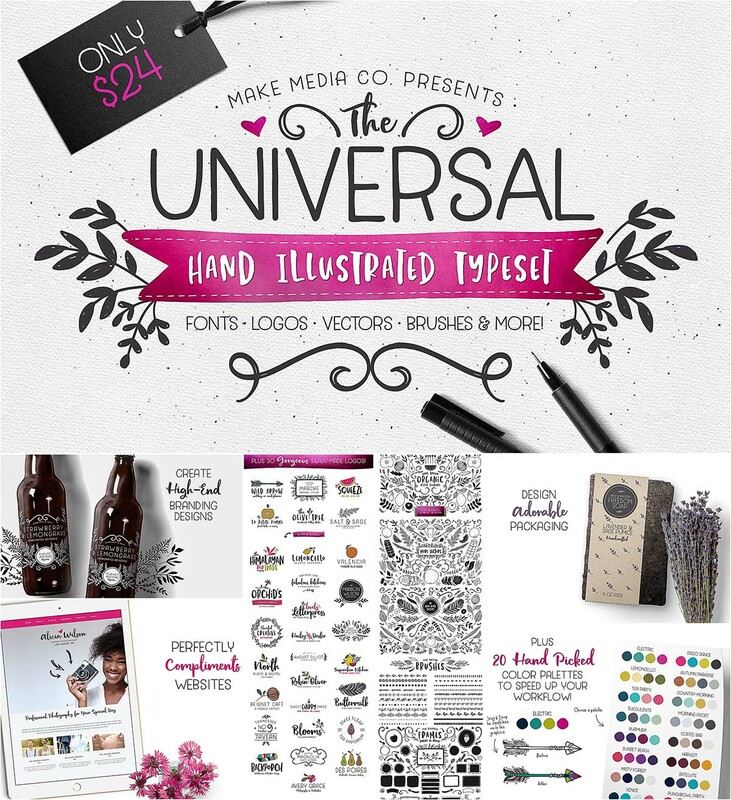 You can create everything from logos, to decorative packaging, to greeting cards and more with this single, streamlined kit. File format: .ai, .ttf, .otf for Photoshop or other software. Tags: branding, brush, feminine, floral ornaments, greeting card, hand drawn logo, lettering, typest.